Located in the heart of Okoboji, this golf hotel is within 1 mi (2 km) of Brooks Golf Club and West Okoboji Lake. Ranch Okoboji and Higgins Museum are also within 15 minutes. 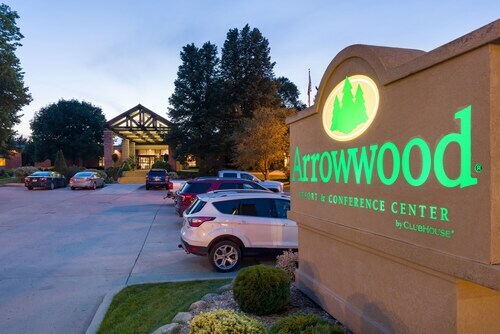 Located in the heart of Okoboji, this golf hotel is steps from Brooks Golf Club and West Okoboji Lake. Ranch Okoboji and Higgins Museum are also within 1 mi (2 km). Situated near the beach, this motel is within 1 mi (2 km) of Higgins Museum and West Okoboji Lake. Brooks Golf Club and Ranch Okoboji are also within 1 mi (2 km). 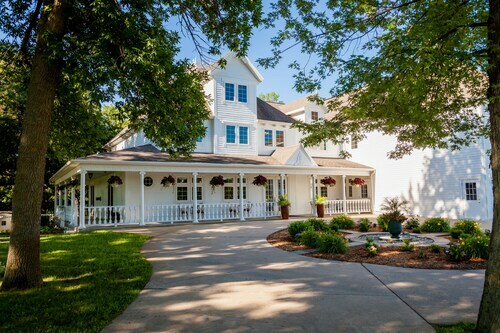 Located in Okoboji, this beachfront hotel is next to a golf course and within 1 mi (2 km) of Brooks Golf Club and West Okoboji Lake. Higgins Museum and Ranch Okoboji are also within 15 minutes. How Much is a Hotel Room in Okoboji? 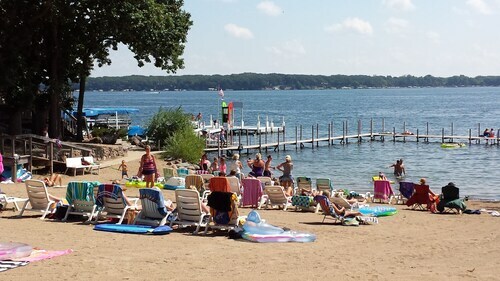 Hotels in Okoboji start at $79 per night. Prices and availability subject to change. Additional terms may apply. There are an extensive range of places to stay on Travelocity to consider when you're ready to start researching your vacation in Okoboji. Within a 6-mile (10-kilometer) radius of the downtown area of Okoboji, you can choose from 13 excellent places to stay. 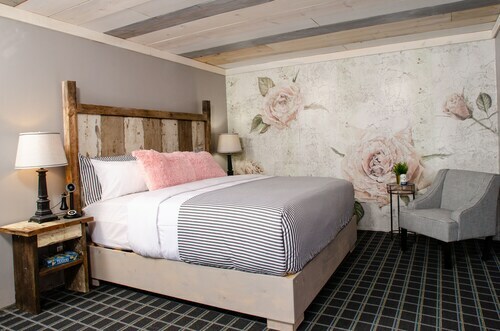 The The Inn at Okoboji Resort, is an ever-popular choice for the busy traveler because it is the most centrally located hotel option in Okoboji. 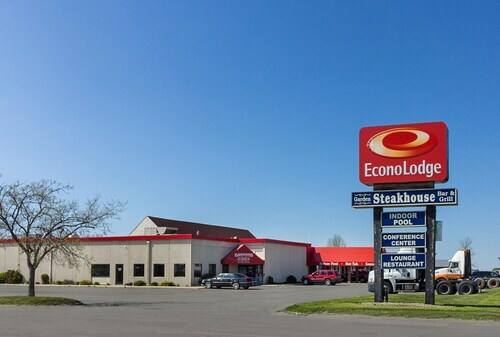 The AmericInn Lodge & Suites Okoboji is 0.7 miles (1.2 kilometers) outside of central Okoboji. Another accommodation option is the Vintage Block Inn & Suites, which is about 0.7 miles (1.2 kilometers) away. 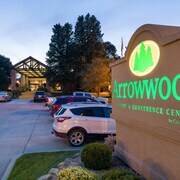 Some other possible options are the Arrowwood Resort & Conference Center and the Rodeway Inn Milford. Why don't you take the time to spread your wings and visit the myriad attractions dotted around Western Iowa while you are in this region? Discover Western Iowa's farms and don't forget to relish the region's rural landscapes and prairies. Fun-loving travelers can also throw themselves into mountain biking and hiking in this part of United States of America. Spencer is 18 miles (28 kilometers) south of Okoboji and is where you'll find Clay County Fairgrounds and Spencer Municipal Golf Course. Some Spencer places to stay include the Days Inn Hotel Spencer Ia and AmericInn Spencer. 16 miles (26 kilometers) east of Okoboji, you can find Estherville, which is home to the Estherville Hotel & Suites and Super 8 Estherville. The Fort Defiance State Park and Thoreson Memorial Park are some of the most frequented places to check out in Estherville. Do you plan on flying in and out of Okoboji? The most logical airport is Fort Dodge Regional Airport, which can be found 75 miles (121 kilometers) from Okoboji's central area. 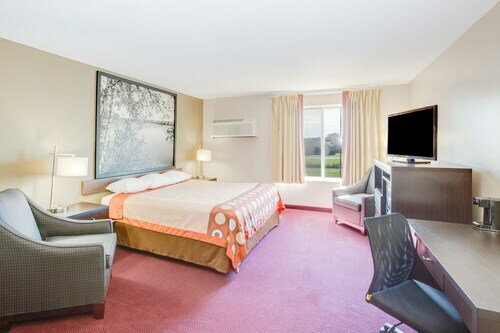 Stay nearby at the Best Western Starlite Village. Loved the entire property. The breakfasts were amazing! Very pleasant innkeepers. Pros: Convenient location to everything in the area; Room exactly as described and pictured on the this site [ always nice to see ]; No surprises; Appreciably quiet during our stay. Cons: None Improvement Suggestion: The free breakfast is billed as a 'breakfast buffet'. Though the offering was genuinely appreciated, I think the term is... well... just a wee bit generous. Most, I think, would consider it more of a 'Continental Breakfast' than a buffet. Of course, if one considers waffles, a small pastry selection, cereal/oatmeal, fresh fruit, and a selection of beverages [coffee, tea, juice, milk] a buffet, then so be it. However, as in nearly all true buffets I have seen [and what one might normally expect in a 'buffet'], there were no eggs, hash browns, breakfast sandwiches or meat selection [sausage/bacon/ham]. Needs updated. Beds were like bricks. Tube tv, no WiFi. Half the ammenities were closed. Couldn’t get extra towels. Definitely won’t be staying again. Good for the price and easy to get to local attractions. Staff was super nice and the room was overall decent with comfy bed, microwave and mini fridge. Biggest complaints were: smoke detector was missing from the ceiling, handle to the shower was loose/kind of broken, breakfast was incredibly limited (toast, frozen waffles, coffee, juice, 2 choices of cereal, banana or apple and hard boiled egg) definitely nothing incredible. Also there was never a front desk person, you always had to use the phone to call them, but it is a small town so maybe that's normal. 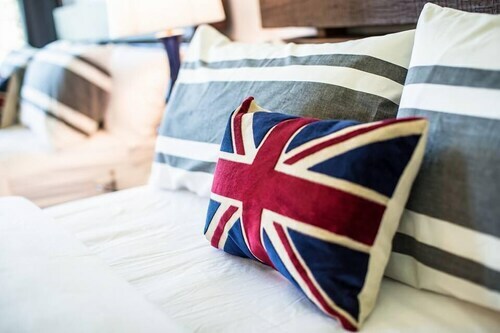 I can say staff was incredibly friendly and helpful, the room was decent for the price and we enjoyed our stay. If I go back to that area, I would stay again. We have stayed here before but was very disappointed this time. Changed our room to pet friendly. No room service and key did not work each night.